Figure of woman holding a baby. The woman's body is made from burlap, and she has yarn covered wire for her hands. Her apron is batik. Her face, and the face of the baby are hand embroidered with yarn. Her scarf is made from a rough net material. The doll is completely hand sewn. 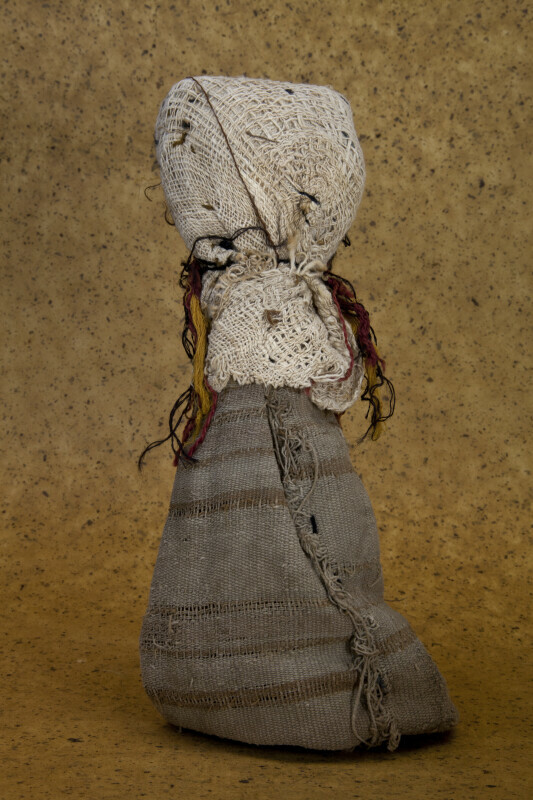 Although this doll was made by women who live on the outskirts of Guatemala City in an impoverished area called "Esperanza" (Hope), and sold by UPAVIM Crafts, it resembles dolls that are referred to as Peruvian Chancay burial dolls. The figure is 10 inches (25 cm) tall. WARNING: You are about to download a 34.2 MB TIFF!